Spring really is sprung! Hey, what’s cooking? Since attending welding and blacksmithing classes a couple of years ago, I’ve been making a few things under the (IMHO) catchy brand name of MabFab – short for Mabberley Fabrications if you haven’t already guessed. 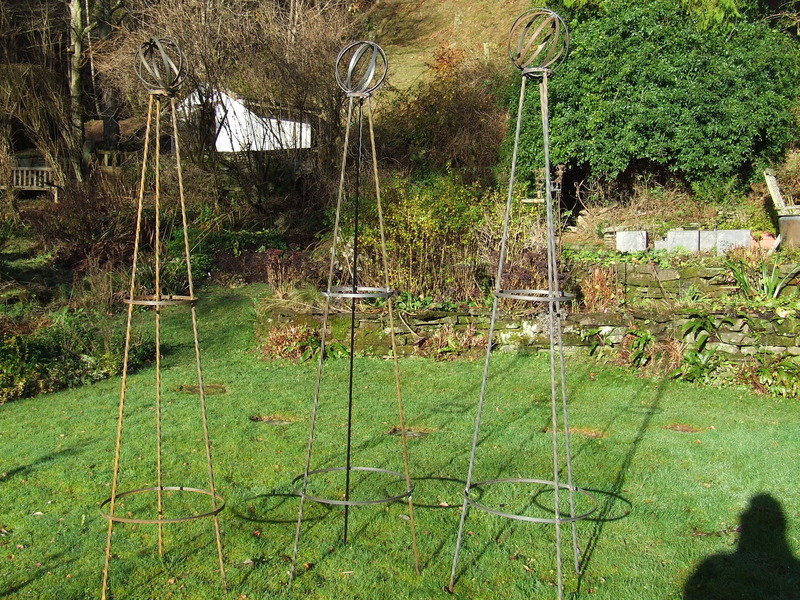 and progressing to more elaborate sweetpea / bean obelisks with globes on top. 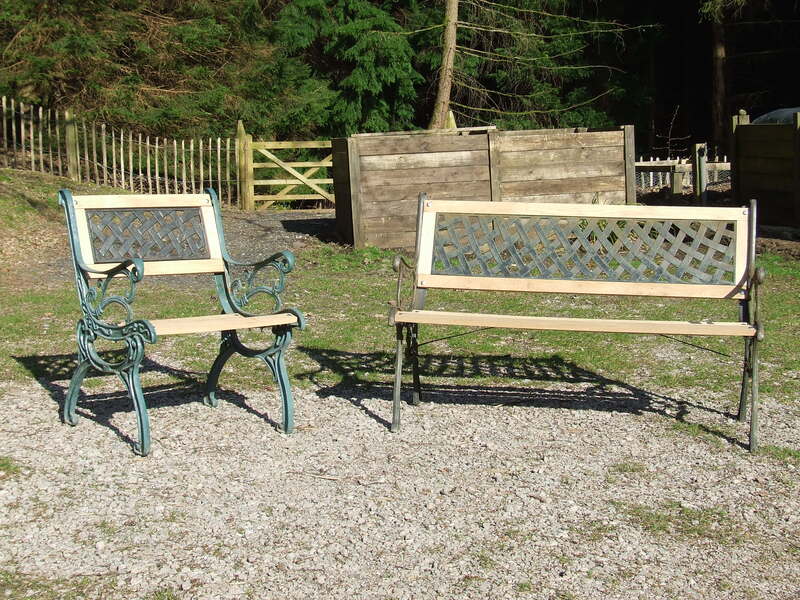 Just recently I’ve re-made a couple of benches using new oak slats and old cast-iron ends. 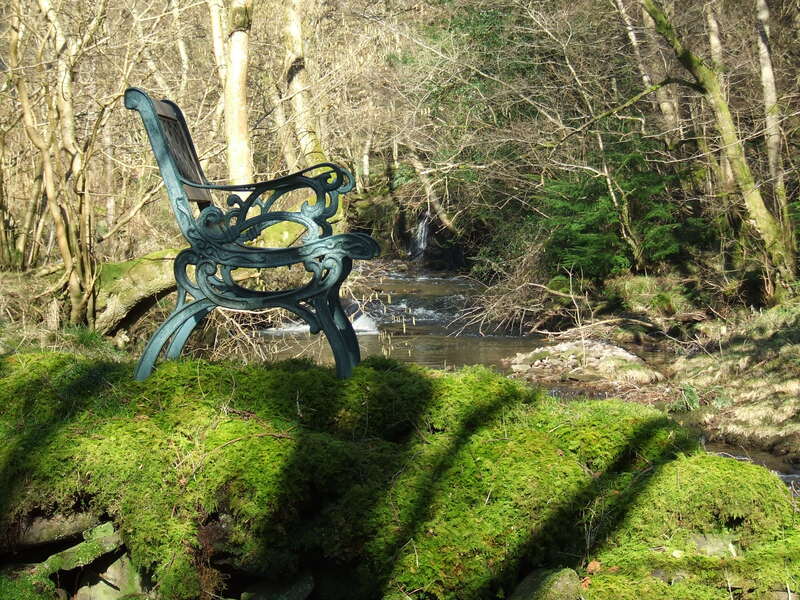 single bench by the river – don’t you just want to sit here and pass the time listening to the water?! 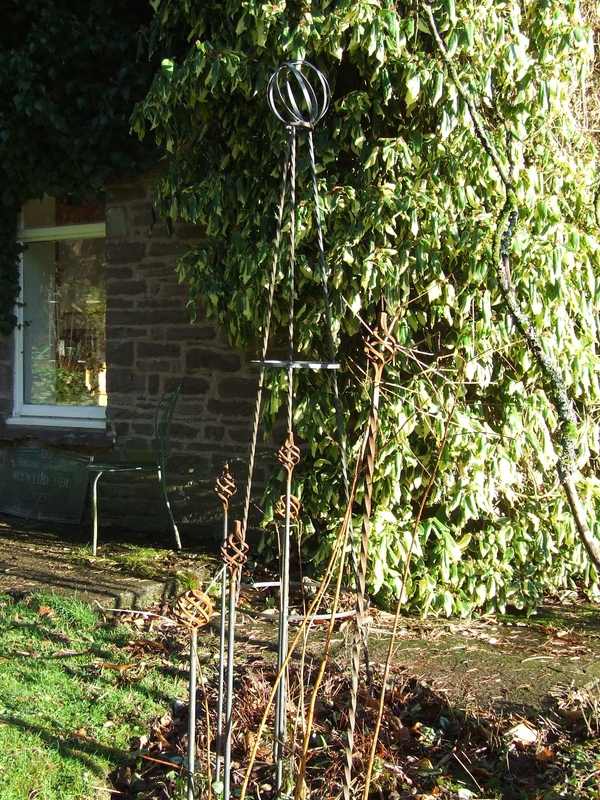 Along with some other already tried and tested items like the compost duvets and slate plant labels, my soon to arrive blacksmithing forge will allow me to have a selection of functional and tasteful items for sale when we open for the NGS in July. Start saving your pennies! Orders taken at any time!